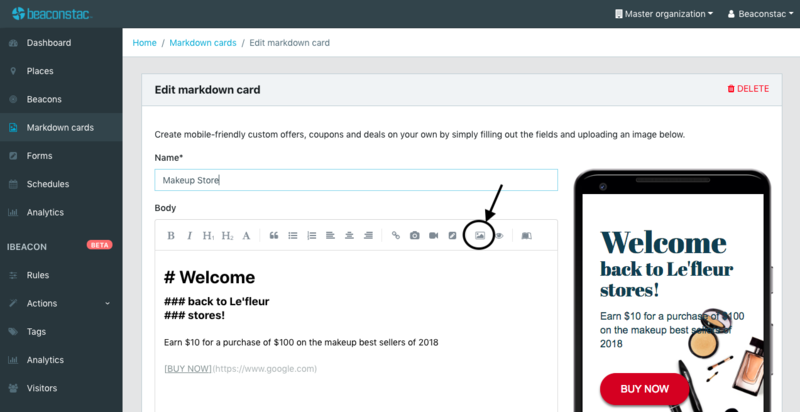 Once you've opened your markdown card, you will want to add images and set a background image. 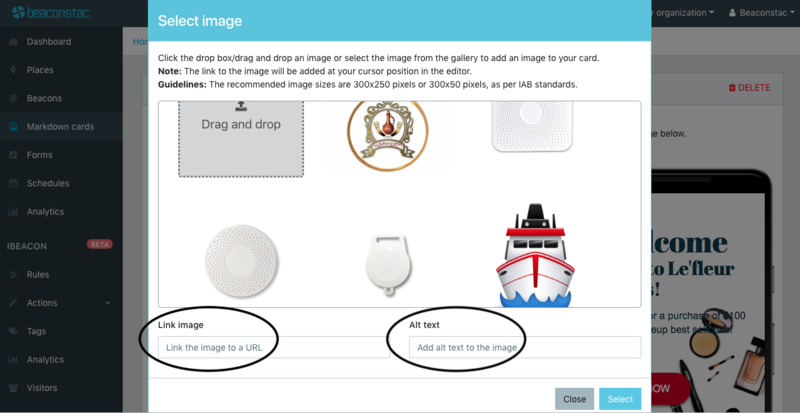 If you select image, you can either choose to upload an image or choose from your previously uploaded images. Make sure they adhere to the background image specifications 720x1024 px . 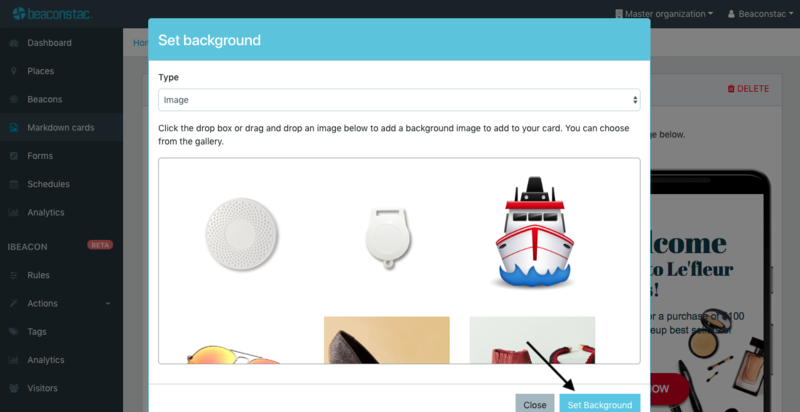 This will open a pop-up window which will prompt you to either upload an image or choose one from previously uploaded images. Make sure the image size is 300x250 px. 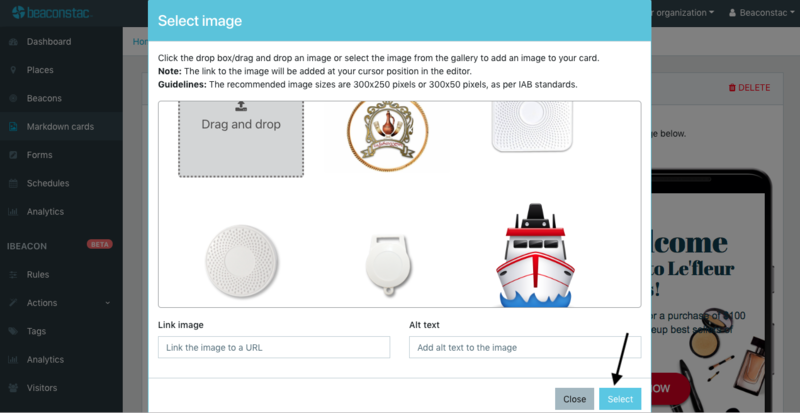 You can link the image to a URL as well as provide ALT text for the image.